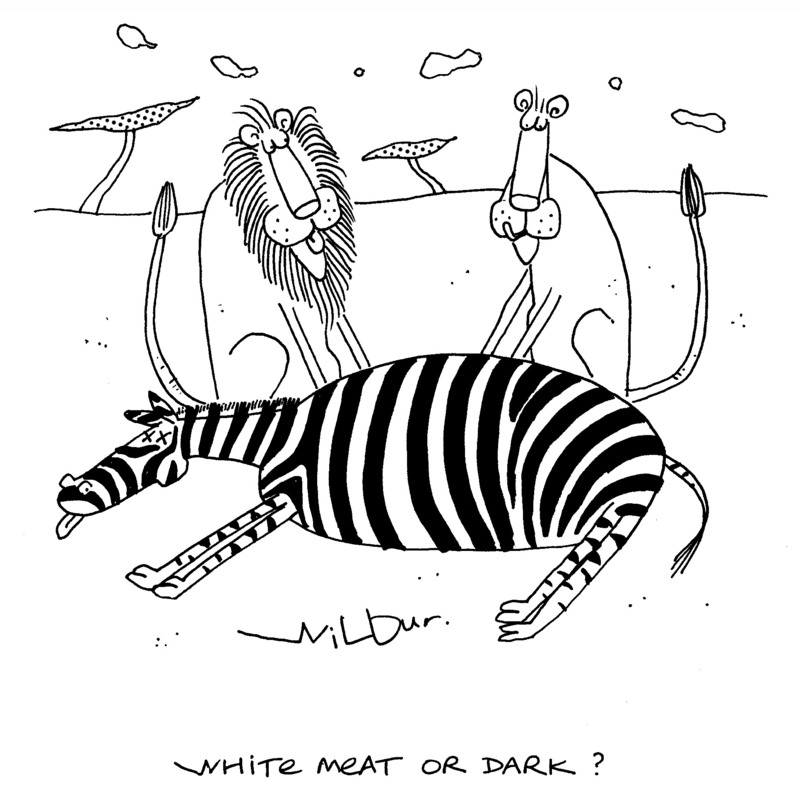 In earlier times ‘white meat’ was simply a term for dairy products, eg milk, butter, cheese, and sometimes eggs. However, in modern English white meat has two meanings. The main one refers to cooked breast meat and other pale-coloured cooked meat of poultry, as opposed to the darker meat of the other parts, such as the legs. It’s thought that this usage was initially adopted as a euphemism in the 19th century (Victorian times) by those too refined to use the word ‘breast’ in polite company. The other modern use of the term ‘white meat’ is to refer to pale-coloured meat in general, especially chicken and turkey, but also pork, rabbit, etc – as opposed to the red meats of beef, lamb, venison, etc. Dark meat refers to the cooked meat from the legs of poultry, in particular chicken and turkey. As with white meat, the term seems to have been adopted in Victorian times as a euphemism to save the sensibilities of those too genteel to mention ‘leg’ – or worse still – ‘thigh’. That’s cleared that up for me. Always wondered why it was called a joint? A word I heard a lot in my childhood eg Sunday joint. A time before fast food!